Jim Henson's classic 1982 fantasy epic The Dark Crystal is returning to the big screen next month for a two-night presentation thanks to Fathom Events, The Jim Henson Company, and Universal Pictures. I loved watching the film when I was growing up! It filled me with feelings of both amazement and terror. I haven't seen this movie on the big screen since I was four years old, and even then I have a vague recollection of that experience. Most of my memories come from watching it on VHS. 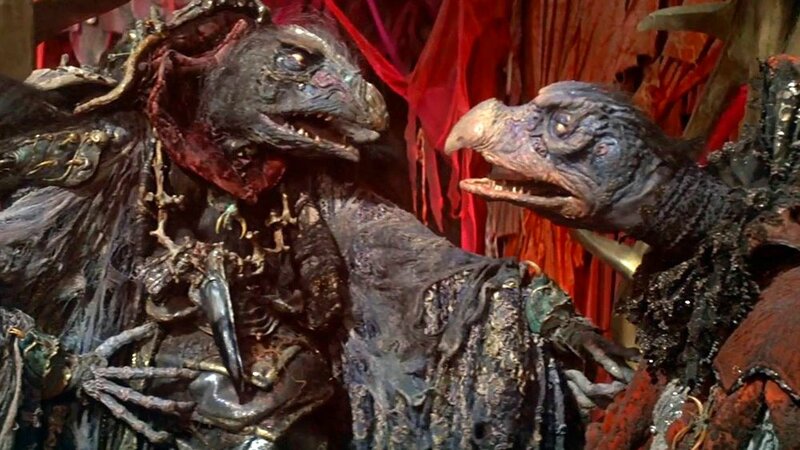 That being said, being able to watch The Dark Crystal on the big screen again would be an amazing treat! This is one of my favorite films as a kid and now I have a chance to see it in a theater again. I've gotta take advantage of that and I'll have to take my kids to it! The screenings are set to take place on Sunday, February 25, 2018, 2:00 p.m. and 7:00 p.m. (local time) and Wednesday, February 28, 2018, at 2:00 p.m. and 7:00 p.m. (local time). Each of the screenings will also feature a brand-new featurette with Lisa Henson, the CEO and President of The Jim Henson Company, who reflects on the making of this one-of-a-kind film and its creative legacy. The film, which was also co-directed by Frank Oz, will be presented in 4K and it will debut on 4K Ultra HD™ and return to Blu-ray™ and digital on March 6th from Sony Pictures Home Entertainment. You can watch a promo trailer for the upcoming Dark Crystal screening below. For a list of theaters and to buy tickets, click here. Will you be going! ?